However, Mary’s virginity after the birth of Christ can become a heated debate in some circles. Though some may think this is a Roman Catholic versus Protestant view, it is not. Many Protestants, including people like Martin Luther, have held to Mary remaining a virgin for the duration of her life. Let’s look at the issues in a little more detail. 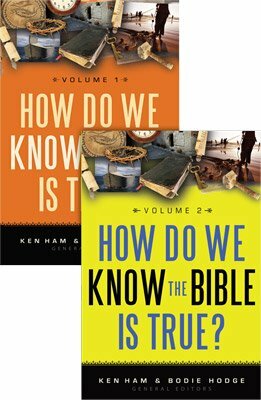 What Does the Bible State? Two different Gospels accounts state Mary had other sons and daughters.1 These accounts even give the names of the sons. Some have suggested these brothers and sisters were cousins or more distant relations. If true, why didn’t the writers use the Greek term for cousins (anepsios)? The Greek word did exist and was used in Scripture ( Colossians 4:10 ). If they were more distant relatives, then why not use a Greek word that meant relatives (suggenes), such as the one describing Mary and Elizabeth’s relational status in Luke 1:36 ? Why did Matthew and Mark use the words most commonly translated as brothers (adelphos) and sisters (adelphe)? In any other context no one would have questioned this meaning. It seems rather obvious that these Gospel accounts refer to Joseph’s and Mary’s children. Why would these people criticize Jesus by mentioning his father (as they presumed) and mother and then seemingly switch to distant relatives? The Apostle Paul also claimed that Jesus had at least one brother. Concerning his first trip to Jerusalem after his conversion, Paul wrote, “But I saw none of the other apostles except James, the Lord’s brother” ( Galatians 1:19 ). The first chapter of Acts tells how the disciples met to select a replacement for Judas. Luke specifically singled out Mary and the brothers of Jesus. To claim Mary was a perpetual virgin even after Christ was born is to deny the words of the Apostle Matthew, who wrote, “Then Joseph, being aroused from sleep, did as the angel of the Lord commanded him and took to him his wife, and did not know her till she had brought forth her firstborn Son. And he called His name JESUS” ( Matthew 1:24–25 , emphasis added). “Knew” was a modest way of describing sexual relations in ancient times. For example, Adam knew Eve, and she conceived Cain, and he knew her again, and she bore Seth ( Genesis 4:1, 25 ). Cain knew his wife, and she bore Enoch ( Genesis 4:17 ). If Joseph never knew Mary at all, the phrase “till she had brought forth her firstborn Son” is pointless. Obviously, Joseph did not sleep with Mary until after she gave birth to Jesus, fulfilling both parts of the prophecy (virginal conception and virgin birth, as Isaiah 7:14 states, “the virgin shall conceive and bear a Son,” emphasis added). But this means Joseph did know her after she gave birth to Jesus, so she was no longer a virgin. Consider that God commanded people to be fruitful and multiply in Genesis 1:28 and twice in Genesis 9 (verses 1 and 7). Malachi 2:14–15 indicates one reason for marriage is to have godly offspring. Why would Mary be disobedient to God? Since she was truly a godly woman, she would have respected His commands and honor them. Having at least two daughters and five sons would indeed be fulfilling God’s commands to be fruitful and multiply. This event is also described in Mark 3:32–35 and Luke 8:19–21 . Here Christ indicated a distinction between His fleshly brothers and mother and His spiritual brothers and mother. This account also further corroborates the idea that Jesus had brothers. When Did the Idea of Mary Being a “Virgin Forever” Begin? The idea of the perpetual virginity of Mary comes from a dubious apocryphal book written well after the New Testament. The book is called the Infancy Gospel of James, The Protoevangelium of James, or sometimes simply Protoevangelium, and it is estimated to have been written in the middle part of the second century. 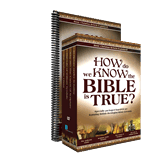 Authoritative New Testament works were those written or affirmed by the apostles ( Luke 11:49 , 1 Corinthians 12:28 , Ephesians 2:20 , Ephesians 3:5 , 2 Peter 3:2 ). A host of false teachings and books came out after the canonical books. Some were written by well-intentioned Christians, some by Gnostics (thinking they had secret knowledge of God), and others by pagans of the day. Some of these books challenged New Testament teachings while others tried to fill in information. The Protoevangelium of James is like other forgeries trying to capitalize on an apostle. Often, people tried to associate a particular writing with one of the apostles to give it a little more credibility. However, the church usually recognized easily what the apostles had written. But this didn’t stop the controversies, nor did it prevent some Christians from being led astray. Even today, people are often led astray, even Christians, by things they read concerning the Bible. The Protoevangelium of James is like other forgeries trying to capitalize on an apostle. James, the half-brother of Jesus, was elevated to an apostle after he saw the resurrected Savior ( Galatians 1:19; 1 Corinthians 15:7 ). So some people thought using his name would give some much needed credibility to the book. However, the church rightly recognized this book was not from the Apostle James. The early church father Origen wrote a commentary on Matthew in which he rejected The Protoevangelium of James as spurious and affirmed Mary had other children.3 At one stage Origen did hold to the position that Mary was a perpetual virgin per his homily on Luke 7:4. The concept of Mary’s perpetual virginity is conveniently explained in The Protoevangelium of James since James is viewed as an older step-brother brother of Jesus being a child of Joseph and his first wife, prior to his marriage to Mary. However, there are a number of mistakes in this book and statements which contradict the Bible that an apostle writing under the inspiration of the Holy Spirit would not make. 3 Elizabeth fled the Bethlehem region with her son John (the Baptist) to the mountains because of Herod’s wrath when he decided to kill all the baby boys around and in Bethlehem (Chapter 16:3). Concerning John the Baptist, Luke 1:80 states, “So the child grew and became strong in spirit, and was in the deserts till the day of his manifestation to Israel.” It was Joseph, Mary, and Jesus who fled from Bethlehem because of Herod ( Matthew 2:13–15 ). 6 Mary wrapped Jesus in swaddling cloths and hid him in a manger at the inn to keep him from the massacre by Herod’s men (Chapter 16:2). Mary and Joseph were warned of Herod’s plot by an angel, and they fled to Egypt ( Matthew 2:13–14 ). 7 Wise men came to Bethlehem and inquired of Herod where the Child was born (Chapter 21:1–2). Wise men came to Jerusalem to inquire where the child king was ( Matthew 2:1 ). The Protoevangelium of James contains the first known mention of Mary’s continual virginity. Likely, this book influenced subsequent people to write of the perpetual virginity of Mary. But the book was not the work of the Apostle James, the brother of Christ. The work’s demotion by the early church, especially its non-inclusion with other books of the canon due to its numerous errors, is further verification it was not authentic. Keep in mind that no passage of Scripture states Mary perpetually remained a virgin and many state the opposite. So to make a case for the perpetual virginity of Mary, one must use ideas that come from outside the Bible and then reinterpret Scripture with some wild hermeneutical gymnastics. This would be appealing to fallible, sinful ideas that originate in the minds of mankind—not God. Why not trust God when He speaks? After all, it would not be a sin for Mary to have sexual relations with her husband Joseph, but it would have been sinful for her to withhold herself from him throughout their marriage ( 1 Corinthians 7:3–5 ). There is no biblical or logical reason why Mary would have needed to remain a virgin following the birth of Christ. The issue is quite simple: should we trust the imperfect sources and traditions that come from outside of Scripture and contradict it or should we trust God’s Word? Previous Article What About Polygamy in the Bible? Next Article Did Miracles Really Happen? Some have suggested that Joseph may have died before fathering children with Mary so that these sons and daughters were the children of Mary and another husband. However, it seems unlikely that Jesus would have been called “the carpenter’s son” if His earthly father had died some 20–30 years earlier. Furthermore, even the people in Capernaum (roughly 20 miles from Nazareth) recognized Him as “the son of Joseph” and claimed to “know” (present tense) His father and mother ( John 6:42 ). Although the Bible does not record Joseph’s death, it likely happened prior to the Lord’s Crucifixion since Jesus entrusted John with the care of His mother ( John 19:27 ). Adam Clarke, Clarke’s Commentary, electronic edition (New York: Carlton & Phillips, 1853), Matthew 13:55. Origen’s Commentary on Matthew in Ante-Nicene Fathers Volume IX. http://www.ccel.org/ccel/schaff/anf09.xvi.ii.iii.xvii.html. Quotations are from The Protoevangelium of James, translated by Alexander Walker, Esq., in Alexander Roberts and James Donaldson, The Ante-Nicene Fathers, electronic ed., (Garland, TX: Galaxie Software, 2000). Another translation of this work is available at http://ministries.tliquest.net/theology/apocryphas/nt/protevan.htm. Mary’s reply is rendered differently in this version, in which she replied, “What! By the living God, shall I conceive and bring forth as all other women do?” The angel responded, “Not so, O Mary, but the Holy Spirit will come upon you, and the power of the Most High will overshadow you.” This version makes better sense, since the angel corrects her thinking that this would occur via natural means. Walker’s translation (cited in the table) makes little sense. Mary assumes it would be a supernatural conception, and then the angel “corrects” her by telling her it would be supernatural. However, both versions of The Protoevangelium of James have Mary knowing more at this point than she does in the biblical account. In the Bible Mary wonders how she could become pregnant since she was a virgin. In The Protoevangelium of James, she seems to guess right away that this would be a supernatural event.